After the first rainstorm of the season, female golden mantellas will dig a short tunnel in leaf litter on the forest floor and lay her eggs there. During the next rainfall the eggs will be swept away into swamps and ponds where they will hatch into tadpoles. 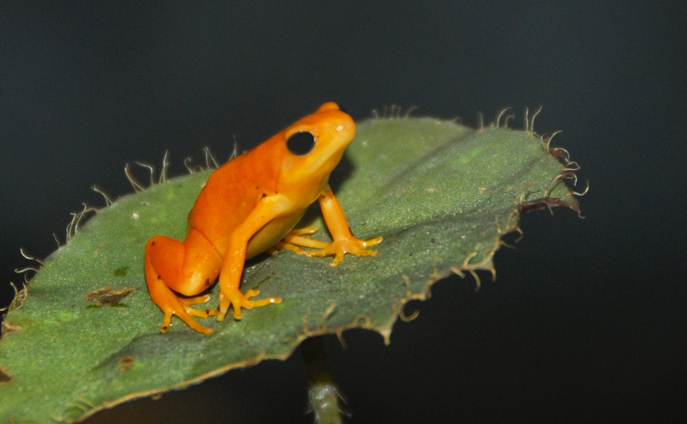 Golden mantellas are critically endangered due to habitat loss from agriculture, forestry and human settlement.